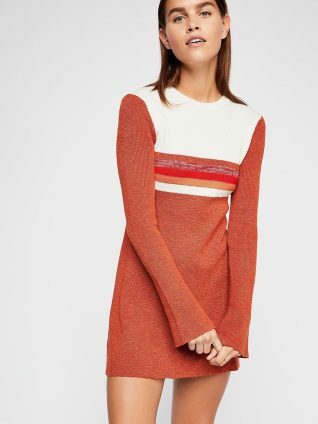 Free People Dress “Color Block” – gorgeous knitted cotton blend rusty red dress in striped design, mock neck, back zipper, slightly flared long sleeves. Easy comfortable fit. 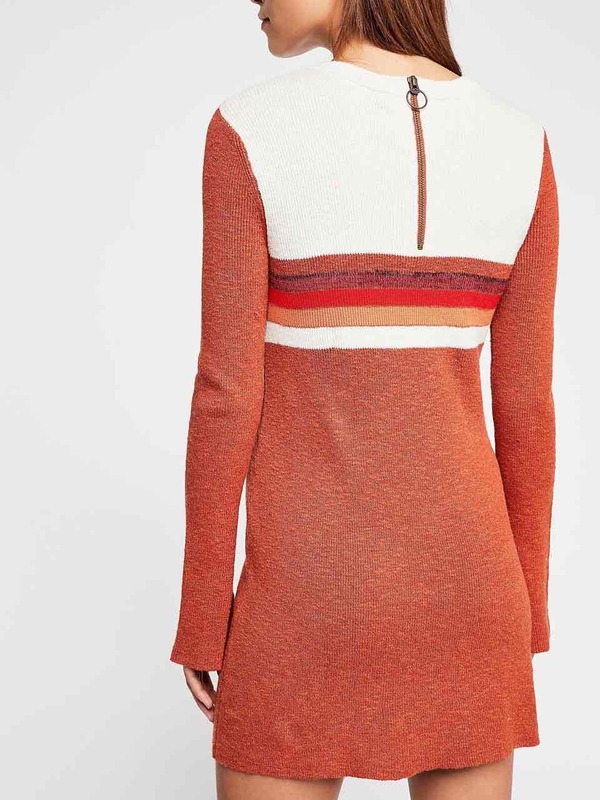 Wear it as a long sweater or as a dress. Very elegant and unique style, indeed!